Everyone will need a handyman at some point in their lives. 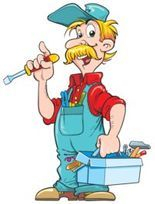 Whether it is a mechanic, a construction worker, or a simple handyman needed to fix things around the home. The ideas listed below can make any handy man’s dreams come true of owning their own home business. • A Mechanic: Everyone needs a good mechanic. Maybe you work in the automotive industry as a mechanic, but you also work on the vehicles of friends and family in your spare time. Maybe you are a mechanic who is currently out of work, and have had no luck in acquiring a job in the automotive industry. If any of these apply to you and you have your own tools, starting up a home based business as a mechanic is just for you. You should already have credibility from family and friends’ vehicles you have serviced in the past. As a home based mechanic you have the ability to set your own hours and your own prices. • Construction: Construction work involves a wide range of services which may include painting or building a home from the ground up, and everything in between. A person may be more apt to hire an individual construction company for their needs rather than hiring a large corporation who would charge more for the services rendered than an individual would charge. • A Handy Man or Honey Do: A handy man or honey do has a variety of services to offer the public. They can fix things around your home or office such as plumbing, broken appliances, or other broken items you may be faced with. If you do not have time to fix these items yourself or you do not know how to fix them, a handyman is what you need. 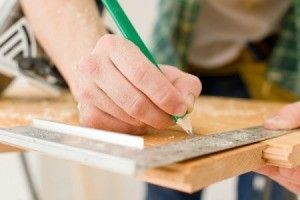 These handy man business ideas may be started up with little investment money. The main thing you will need are the supplies you will need in order to complete the tasks you are hired to do. It would be wise for you to have your business licensed for legal purposes. With these types of home businesses, marketing by word of mouth through family and friends will help to get your business off the ground and running. The income you generate will depend on how much publicize your business and services.